Product prices and availability are accurate as of 2019-04-17 16:29:08 EDT and are subject to change. Any price and availability information displayed on http://www.amazon.com/ at the time of purchase will apply to the purchase of this product. 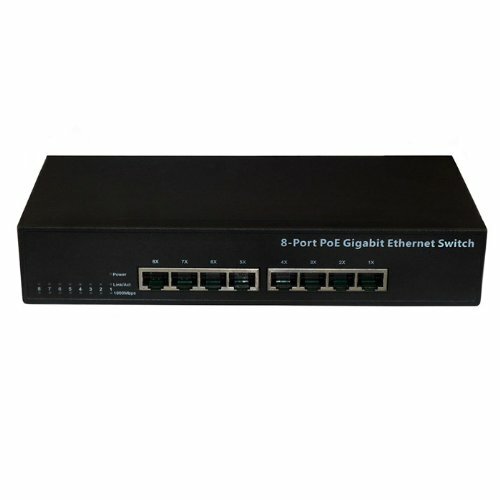 The PL-1008GP is a high-performance unmanaged 10/100/1000Mbps Gigabit desktop switch with 8 Gigabit Ethernet PoE ports. It provides power for network devices using Ethernet cables and flexible network architecture where users can utilize a Gigabit LAN network without bandwidth limitations. The is ideal for micro-segmenting large networks into smaller, connected subnets for improved performance, enabling the bandwidth demanding multimedia and imaging applications. 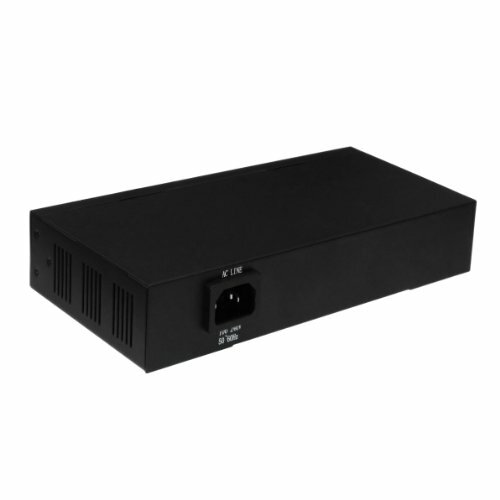 Supports PoE power up to 15.4W for each PoE port Supports PoE power up to 130W for all 8 PoE ports Supports PoE IEEE 802.3af compliant PDs Non-blocking switching architecture that forwards and filters packets at full wire-speed for maximum throughput supports MAC address auto-learning and auto-aging LED indicators for monitoring power , link, activity External power adapter supply Standards and Protocols: IEEE 802.3, 802.3u, 802.3sb, 802.3x; CSMA/CD, TCP/IP Basic Function: Wire-speed Performance; MAC address Auto-learning and Auto-aging; IEEE 802.3x flow control for Full-Duplex Mode and backpressure for Half-Duplex Mode PoE Ports (RJ45): 8 Back bound Bandwidth: 16Gbps MAC Address Table: 4k Forwarding Rate: 10BASE-T, 100BASE-TX, 1000BASE-T Transmission Method: Store-and Forward Ports: 8 10/100/1000Mbps Auto-Negotiation RJ45 ports (Auto MDI/MDIX) Network Media: Category 5 cable maximum 100 meters Unit Dimension (LxWxH): 8.9" x 4" x 1.6" Unit weight: 1.75 lbs.